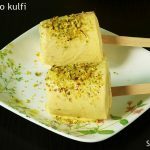 Mango kulfi recipe with video & step by step photos – Kulfi is an Indian ice cream made with milk, sugar and other flavoring ingredients. There are a few different variations of making it and the method I am sharing here is one of them. 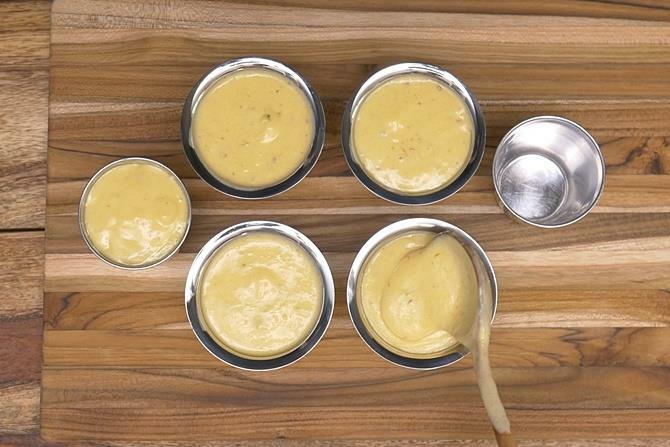 Mango kulfi can be made from scratch by evaporating the milk for long time and then cooling it down then adding the mango pulp. 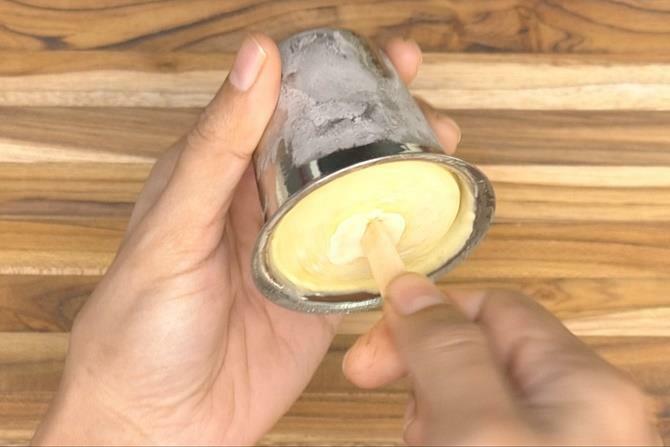 I have used 120 ml stainless steel cups, since I do not own kulfi moulds & do not prefer plastic popsicle moulds. 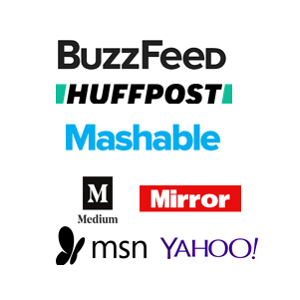 You can use any of these. 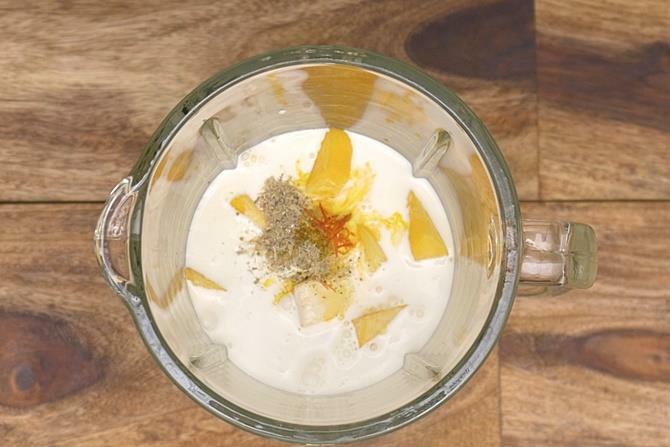 Indian mango kulfi is a instant dessert that is made with condensed milk, mango pulp and cream. 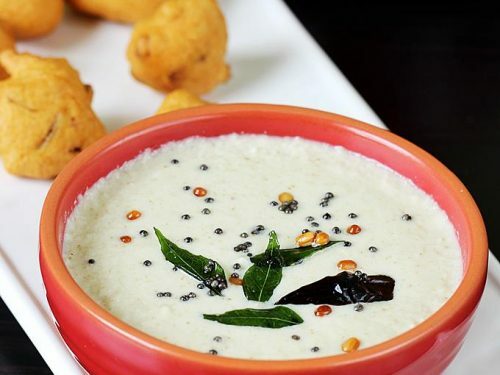 Soak kesar or saffron in 2 tbsp hot water. This is optional. 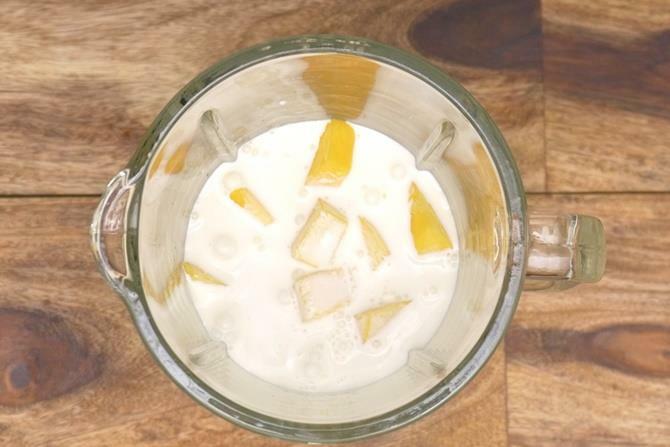 Use sweet mangoes as the sour ones do not go well with cream & condensed milk. 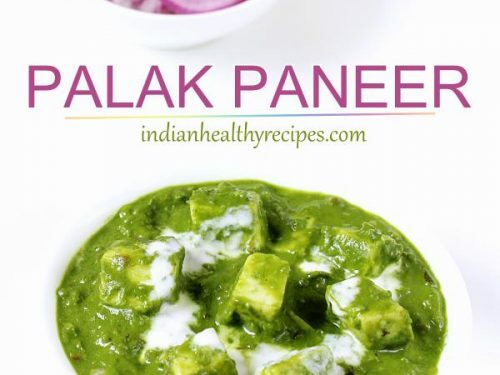 You can also use canned mango puree. 1. Soak saffron in 2 tbsps of hot water. You may also replace it with any natural organic food color. 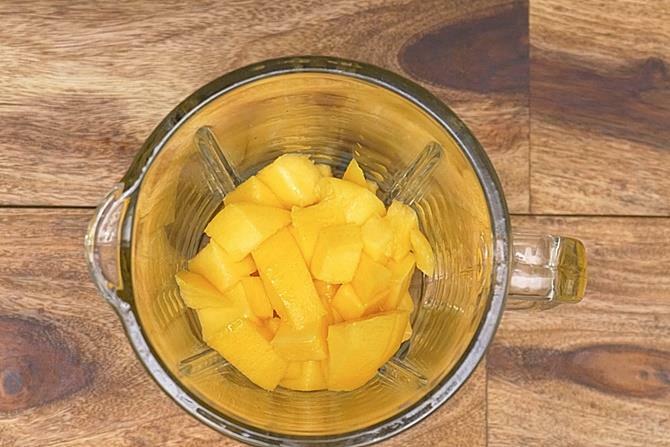 Add mango cubes to a blender. I have used fresh medium sized mango which measured about 1 and a 1/2 cups. 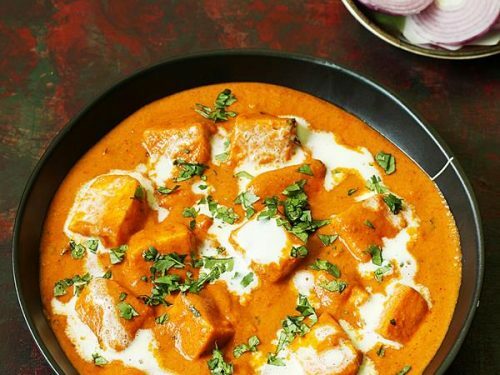 You can also use tinned mangoes. 3. Add cardamom powder and saffron. 5. 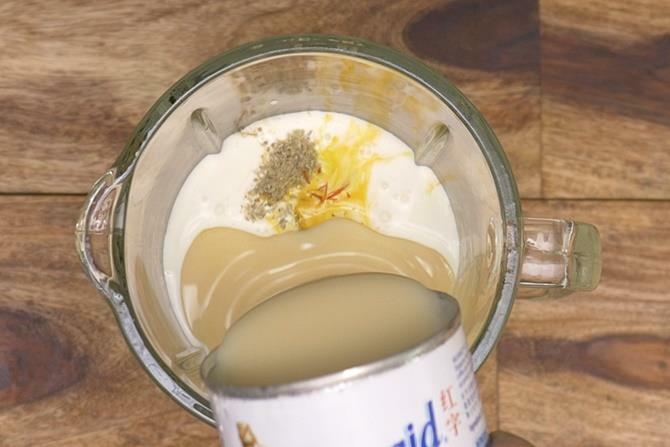 Blend to a smooth puree. 6. Add chopped pistas. Give a good stir. 7. 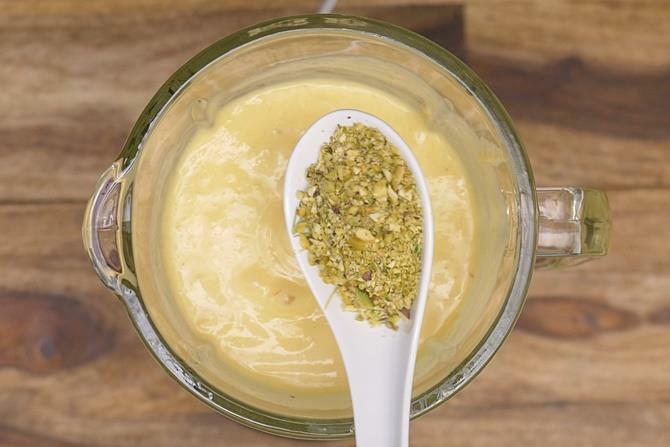 Pour the mixture to the kulfi molds or Popsicle moulds. I have used steel cups since I don’t prefer aluminium ans plastic containers. 8. 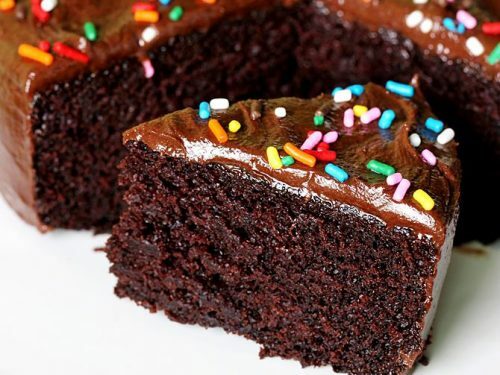 Cover them with a foil and pierce a Ice cream stick gently. Refrigerate until set. 9. 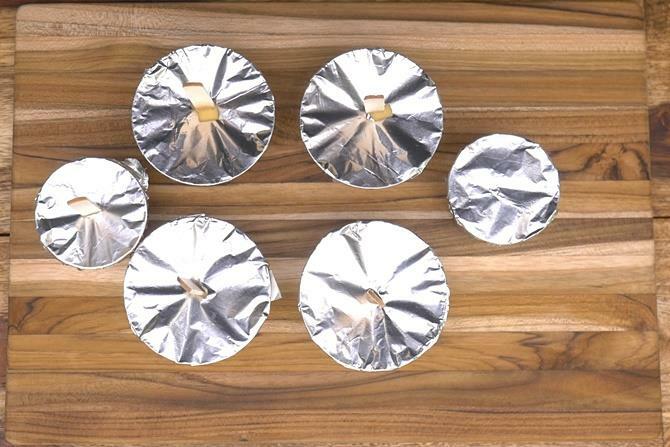 Remove the foil and rub the glass in between your palms or dip the bottom part of the cups in a bowl of water. Gently pull out. 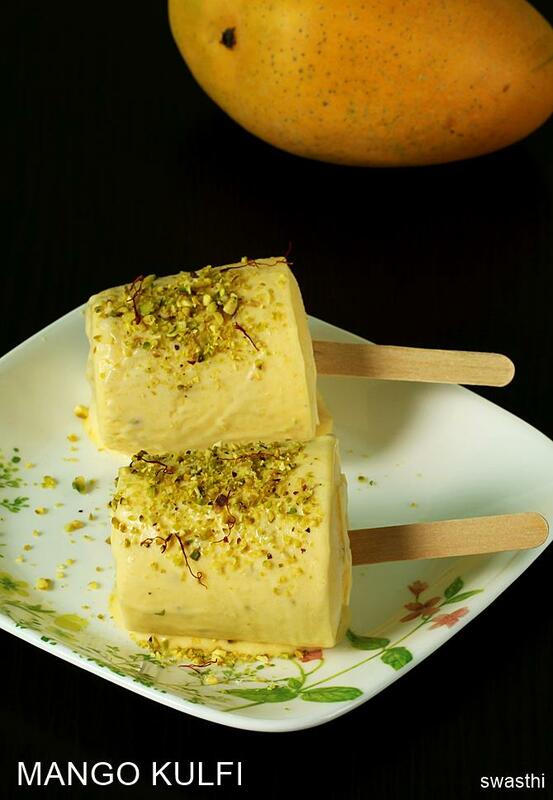 Garnish mango kulfi with finely chopped pistachios. 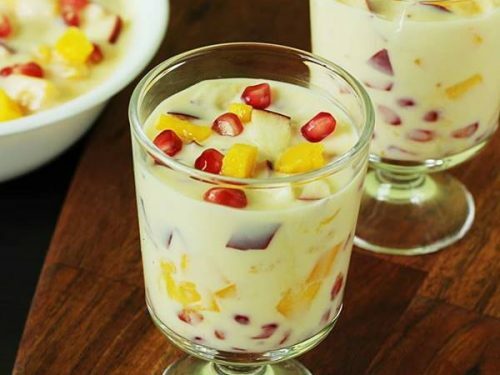 Looks yummy… Can I try using mango pulp from the store? Most amazing mango kulfi, that I have ever had. My family could not believe that its not what we get in the market. 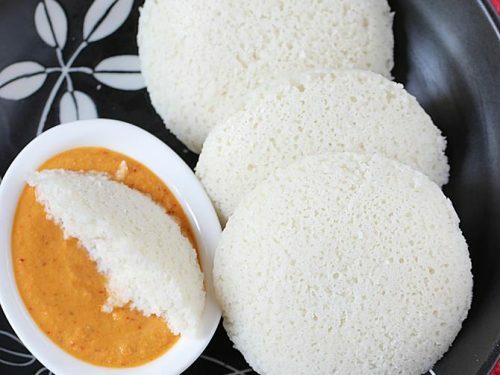 Its very creamy, rich, delicious and had the right flavour. 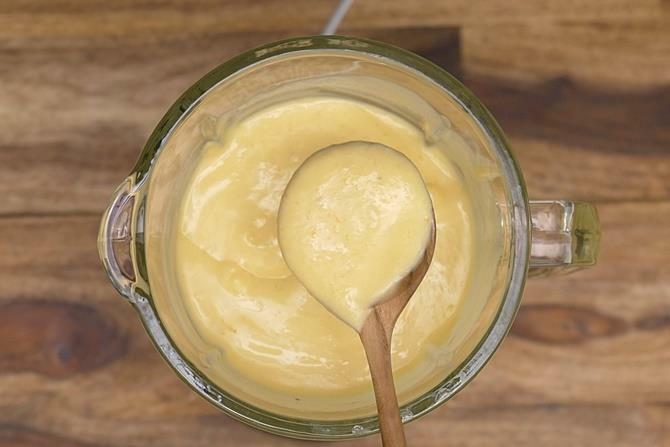 I used 200 ml of cream instead of 250 ml and still it was quite creamy. I did not add any sugar as the sugar in milkmaid is just enough. I used alphonso mango as I did not want to compromise on the quality of mangoes. Thanks for the comment. 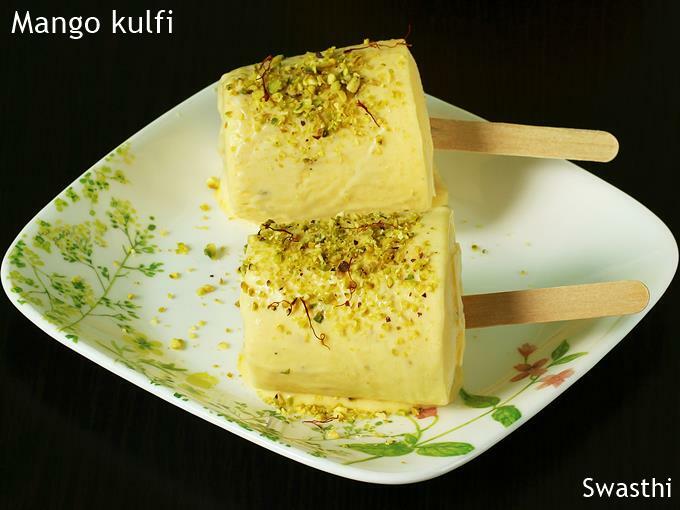 Glad to know the kulfi turned out good.